Printed on Gildan heavy cotton, 100% cotton shirts. Grey and metallic bronze plastisol ink print. 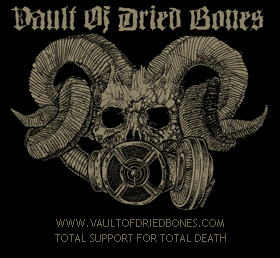 Released and printed by Vault Of Dried Bones.